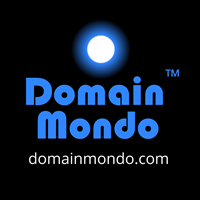 Domain Mondo | domainmondo.com: Why Did ICANN Become a Member of Trademark Lobbyist Group INTA? Fadi Chehade: "... I think Adrian [Kinderis], Kurt [Pritz], and others who know this idea of the DNA Association [DNA represents the interests of the new gTLDs domain name industry] and started in some small meetings we were having at the ICANN office where I was a huge early supporter, and continued to be ... there's a brewing issue for example coming up that will affect your industry ... I'm committed to your industry without a question. I need to understand it more and spend more time in it, no question. I did realize at some point that ICANN itself is an organization needs a dedicated president that is focused on serving the industry. I asked Akram [Atallah] to abandon his COO role and be the president [of ICANN's Global Domains Division (GDD)]. We created this division to serve you. In many ways we need to pair GDD and DNA and make sure that that is very tight ..."--ICANN President and CEO Fadi Chehade, transcript of DNA meeting, February 10, 2015, video of meeting here (emphasis and links added). Who at ICANN is serving the Public Interest? We now know that the ICANN Global Domains Division and its President, Akram Atallah, serve the new gTLDs' domain name industry and its lobbying arm, the DNA. And we also now know that ICANN is not just serving, but is a member of the trademark lobbying organization INTA. But is there ANYONE serving the PUBLIC INTEREST at ICANN? Does ICANN, its Board of Directors, or any of its officers, staff, or its "ICANN stakeholder community" even care about the Public Interest? Or is it only governments that care about, and protect, the public interest? ICANN, and the ICANN Community, just don't get it. It is obvious that the last thing ICANN needs in order to become accountable to the Global Internet Community (global multistakeholder community) is to become a "membership" organization primarily of, for, and by the lobbyists and lobbying organizations who already have an inordinate and corrupting influence over the Internet Corporation for Assigned Names and Numbers. It appears ICANN has learned nothing since 2012, and may not be ready to operate without some kind of "governmental oversight" to protect the "global public interest." At a minimum, it appears ICANN officers and staff lack the moral compass to discern and avoid obvious conflicts of interest. Is this really the appropriate time for the US government to just walk away from its oversight role and leave the global multistakeholder community (global internet community) vulnerable to exploitation by ICANN and its special interest lobbyist stakeholders? It may be time for Larry Strickling (NTIA), the US Department of Commerce and the Obama Administration to reassess their IANA Stewardship Transition announcement of March, 2014.